ADB SAFEGATE completes acquisition of Ultra Airport Systems to create total airport management capability. Ultra Airport Systems is now ADB SAFEGATE Airport Systems. By combining Ultra’s airport IT solutions with ADB SAFEGATE’s integration and services expertise across the Gate, Tower and Airfield, we’re taking Total Airport Performance Management to the next level. ADB SAFEGATE has completed its acquisition of Ultra Airport Systems (AS), the global provider of airport IT systems and data analytics solutions. The deal combines the two companies‘ expertise and solutions to create the foundation of a Total Airport Management (TAM) solution provider. The acquisition will help ADB SAFEGATE to further apply integration and automation technologies, advanced data analytics and deep airport operations expertise to offer TAM. 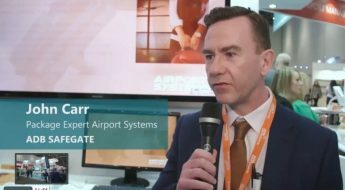 Airports and airlines will gain greater operational efficiency, sustainability and safety by integrating systems across the entire airport, airside and landside. ADB SAFEGATE will incorporate and further develop Ultra AS’s wide range of solutions covering many airport and airline processes relating to operational performance, flight information displays, billing, baggage management and situational awareness. This will align with ADB SAFEGATE’s current services and capabilities, creating a solid foundation for a powerful,advanced analytics customer proposition. The former Ultra Airport Systems will be operating under the name ADB SAFEGATE Airport Systems. Together we’re taking Total Airport Performance Management to the next level. Want to find out more about the acquisition? Click on button below for the latest press release, or visit ADB SAFEGATE Airport Solutions. ADB SAFEGATE provides integrated solutions that raise efficiency, improve safety, boost environmental sustainability and reduce operational costs for airports, airlines and ANSPs. The company works with airports and airlines to solve operational bottlenecks from approach to departure. 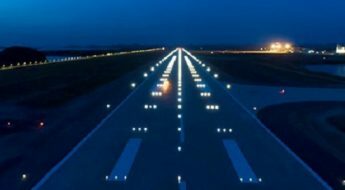 Solutions encompass airfield lighting, tower-based traffic control systems, intelligent docking automation and services, as well as applying advanced IT and analytics to deliver industry-leading Total Airport Management. 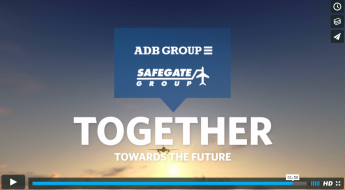 With more than 1,200 employees, ADB SAFEGATE serves more than 2,500 airports in more than 175 countries, from the busiest and largest like Atlanta, Beijing, Dubai, Heathrow, Charles De Gaulle, Frankfurt, Istanbul, New Delhi and Changi to fast-growing airports across Asia and Africa. Did you know that 40 bags a minute, or more than 20 million a year, are mishandled worldwide?